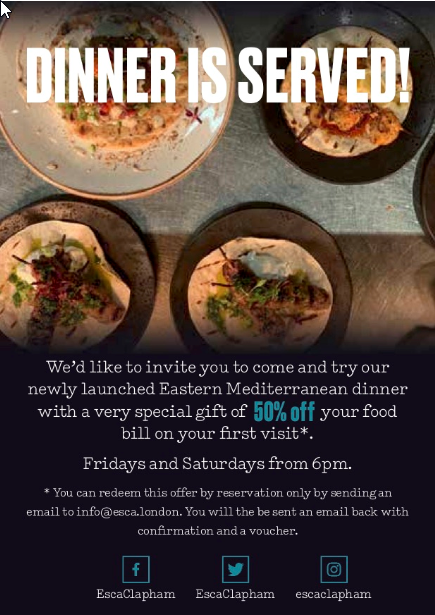 We’d like to invite you to come and try our newly launched Eastern Mediterranean dinner with a very special gift of 50% off your food bill on your first visit. Fridays and Saturdays from 6pm. You can redeem this offer by reservation only by sending an email to info@esca.london you will then be sent an email with confirmation and a voucher.